The music I play is based in the traditional music of the Southern Mountains. It is a living music, full of variety and excitement. At its heart it is a combination of music from England, Scotland, Ireland and Africa mixed with American spirit. There are old folk songs, ballads and fiddle tunes as well as newly created material. It is a vital, thriving music that is both as old as the hills and new as the rain. Here are the music CDs and DVDs I have made. Each one is distinct from the others with its own personality and players. I am proud of each and every one. I know you will enjoy them. 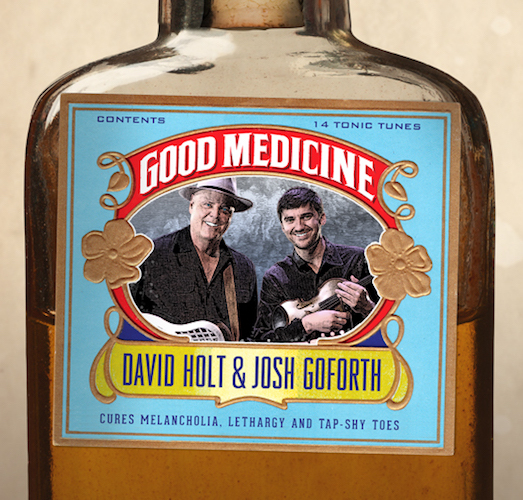 Good Medicine Four-time Grammy award winner David Holt and Grammy nominee Josh Goforth celebrate the wide variety of sounds and styles found in the music of the southern mountains with their new release, Good Medicine, on High Windy Audio. Their creative blend of ballads, blues, and banjos with a dash of Tin Pan Alley and bluegrass makes a powerful tonic. Grammy Award Winner – A revealing and entertaining portrait of Doc Watson, a man who, for more than half a century, has been a force in the creation, interpretation and preservation of American roots music. SEE DETAILS Cutting Loose: Live at the National Storytelling Festival with David Holt & Josh GoforthTwo-man tornado of tunes and tales. Four-time Grammy winner David Holt and acoustic music star Josh Goforth join together for their first live duo recording, Cutting Loose. The joy and spirit of old-time music and stories come to life in the hands of these two exceptional performers.Cutting Loose leaves no toe left untapped. 25th Anniversary edition Reel & Rock This is the 25th Anniversary edition, with extended liner notes and some truly great music. Originally recorded in 1985 and voted the “Best Traditional Folk Recording of the Year.” This was Merle Watson’s last recording and every note sparkles. GRAMMY NOMINATED Live & Kickin’ is David Holt’s snapshot edition of his musical and storytelling odyssey over the last forty years. 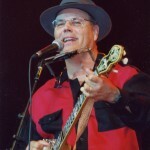 David brings the good old times to life with these great American folksongs. He has performed for hundreds of thousands of kids across America and these are the songs they like the best. Here are the favorite songs they all love to sing. “GRAMMY NOMINEE” David Holt with Doc Watson, Chet Atkins, Duane Eddy, Mark O’Connor and Jerry Douglas play the great songs of early country music.